Is it worth Prepping for Doomsday or the End of the World? Is it worth Prepping for the End of the World? Enter the strange and wonderful world of Prepping, Preppers and Preparedness made popular by the Reality TV show "Doomsday Preppers". This is a huge topic, I confess I'm no expert but I know more than the average person, but this article merely skims the surface. DYOR is the best advice here. This is a follow on article from the "Modern Day Society is just 72 hours away from Anarchy"
this article asks is "Is it worth Prepping for the End of the World" or should we get our sofas out on the front lawn, marvel at the beauty of it all, be the first to be destroyed and be done with it................surely if things are that bad, it wouldn't be worth surviving anyway......I'm being serious??? Whether you think we are in the End Times or not, this article aims to shed some light on Preparing for Armageddon or whatever, but throwing in a Christian perspective. Is it something that Christians should do. Is it something that people outside the faith should do. These will be tackled later in the article. I think in modern times we have been conditioned to live in a cotton wool wrapped society and that the inner caveman or cave woman is suppressed. Many preppers believe modern society has conditioned people to depend on others (the government, companies, neighbours) to fix their problems, rather than taking the time and effort to care for their own needs. This mentality manifests itself and dominates even during disaster scenarios. People fail to adapt! The thing is, it doesn't have to be a "Nuclear Bomb" or a "Massive Asteroid" threatening our planet “The breakdown of society could be something like the recent Hurricane Katrina. People were left on their own for too long. They had to wait for help. The government didn’t come fast enough, it was chaos and things went back to the Dark Ages pretty quickly. Imagine something like that on a bigger scale and you can see where the Preparedness mentality has come from. Be prepared for people to plague the life out you if you are a Prepper. Everyone feels entitled to your stuff. They don’t prepare and they look to the people who did. Survivalists are not a new thing either it has existed for some time and some Cult Religions such as most Mormons are also called to be, in a sense, preppers, as they are admonished to keep on hand a supply of food and water “so that, should adversity come, we may care for ourselves and our neighbours". I'm not a Mormom by the way! I think you are either in the End Times camp or you are not. Not only Christians but other religions know that we are in those times. Pick up a Bible and read Revelations and it is there staring you in the face whether you believe or not.Even if you don't read the bible, just take a look around you and read or watch the news. Do you really think we are in normal times and that it's business as usual on Planet Earth..........you may want to think again. Before coming into the faith (read my Testimonial) I realised that something wasn't right with the world and something was going on. I watched a vast amount of videos on Prepping, Preppers and Prepping and of course Preparedness and becoming a Survivalist. This Survivalist culture has blown up into you could say a Religion in it's own right. An industry has also grown up around it. Prepping is making preparation for an imminent localised or global disaster including preparing the basics for survival including food and water, , security and defence, shelter, clothing, heat and light and medical supplies and beyond. There are two groups of Preppers: you either stay put when the Doomsday scenario arrives which is called "Bugging In" normally staying put in an urban/city environment or you are in the "Bugging Out" camp where you evacuate the urban/city environment and head out to the middle of nowhere. Both have their advantages and disadvantages which I won't go into here. As a side note the current US Administration is clamping down on Survivalists and Preppers......another thing worth taking on board of you decided to go down the Preparedness route. Before we go into the Christian Perspective of Preparedness here's a few conclusions I came to about the subject after some extensive research. 2. Preparing with the basics such as food, water, medical supplies, clothing and an emergency shelter (read tent) and an evacuation plan are a good idea. It doesn't cost much and could mean the difference between life and death. 3. Watching a few videos on potential doomsday scenarios is unsettling and will freak you out, but is also a good idea. (See Previous article on 72 hours to Anarchy) This will help to mentally prepare yourself for what is potentially heading your way. If it doesn't happen, it doesn't happen. If it does you will be streets ahead of those who are unprepared and will put you in a position not only to help yourself but to help others. 4. There are a lot of, to be polite, mentally unhinged types in the Prepping Community. (There's quite a few in the End Times Community as well). There are some also highly intelligent, leading lights in society that are Preppers and End Timers. Learn to separate the wheat from the chaff. 5. Clubbing in with a group of people you trust and know BEFORE the event will increase your chance of survival if the SHTF. Going it alone will be fraught with problems and make you vulnerable unless you have a rock solid faith (christian or otherwise) that guides you and makes going it alone advantageous. You're going to need it. 6. You've got to accept the fact, no matter how much you Prep, certain events will put your survival chances at a big fat zero.....they just will! 7. 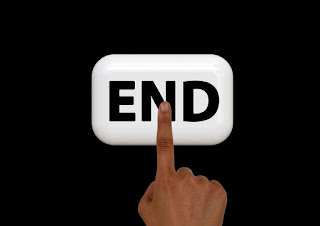 If you have prepared for "The End" and everybody else has not, be prepared for a lot of knocking on your door if people know you have a food supply that can last weeks/months/years. People will do desperate things in adverse situations and the normal modern day society rules will no longer apply. 8. Are you prepared to live off grid, no Twitter, Facebook, Pinterest, You Tube. Even if your phone has solar power or is EMP proof.... the networks could be down. A recent study revealed that when students at a college were deprived of Social Media such as Twitter/Facebook for 3 days, they started freaking out showing classic signs of withdrawal, similar to Heroin addiction. Are you aware of this, how would you cope for months or longer? Have you tried switching off your phone for 3 days and see what happens? 9. You may want to actually consider if things are going to be that bad, is it actually worth prepping for survival when in reality it's probably better not to be around when everything goes pear shaped and the SHTF. Do you really want to be around in those End Times? MOST IMPORTANTLY Prepping is made up of 3 components. Do you have an Action Plan and Knowledge on how to use those equipment and supplies. Do you know if you are staying put (Bugging In) or evacuating (Bugging Out) BEFORE the event? Do you know how to use the equipment you have? Have you done a dummy run? If you ran out of water and lost your water filter, could you make a natural one from common items found in nature? Where would you find water if all the normal supplies were polluted or unsafe to drink? It's no point having 1 and 2 if you don't have 3 and that's physical and mental preparedness. Can you run with a heavy back pack for 5 minutes, 10 minutes or even an hour? Can you handle being in the dark for extended periods of time? Can you handle silence when all the modern day noises cease? Can you defend yourself? Can you keep calm when everybody else is freaking out? Can you handle a potential situations such as the film "I am Legend"
What are the typical Doomsday End Time Scenarios people are Prepping for? Preppers are prepared for a long list of things including Armageddon, catastrophe, mass destruction, devastation, annihilation, cataclysm, end of the world, holocaust, decimation and a whole lot more. Here's a handful of End Times scenarios that could happen in the near future. Some very real, some initially ridiculous but in closer inspection maybe not. An asteroid five miles wide would cause major extinctions, like the one that may have marked the end of the age of dinosaurs. If one of the big ones headed right for us, that would be it for pretty much all higher forms of life, even cockroaches. Not an increase in temperature but this one. Did you know a 1% downturn in the sun output could send us into another ice age. There is evidence that decreased solar activity contributed to 17 of the 19 major cold episodes on Earth in the last 10,000 years. An EMP attack either man made or natural could bring a country the size of the US to a complete standstill and return modern day society to the dark ages within weeks. 4.The Earth Climate change and the rising oceans. It's easy to see how global warming could flood cities and ruin harvests. More recently, researchers like Paul Epstein of Harvard Medical School have raised the alarm that a balmier planet could also assist the spread of infectious disease by providing a more suitable climate for parasites and spreading the range of tropical pathogens. Rising sea levels is happening now. Recent headline 5 Island have vanished in the Pacific due to rising sea levels. 5. Super volcanoes and the beginning of the next ice age.If a super volcano erupted so much ash and dust would be spewed into the air it would block out the sun for a considerable period of time, temperatures would drop, the next ice age would be imminent. 6. The magnetic pole shift -reversal. One of my favourites. I think it's happening now. The last such reversal was 780,000 years ago, so we may be overdue. Worse, the strength of our magnetic field has decreased about 5 percent in the past century.the magnetic field deflects particle storms and cosmic rays from the sun, as well as even more energetic subatomic particles from deep space. Without magnetic protection, these particles would strike Earth's atmosphere, eroding the already beleaguered ozone. The pole shift is mentioned in the Bible. The World Health Organization estimates that 500 million people around the world suffer from a psychological disorder. By 2020, depression will likely be the second leading cause of death and lost productivity, right behind cardiovascular disease. Increasing human life spans may actually intensify the problem, because people have more years to experience the loneliness and infirmity of old age. Together, the United States and Russia still have almost 19,000 active nuclear warheads. Nuclear war seems unlikely today, but a dozen years ago the demise of the Soviet Union also seemed rather unlikely. Political situations evolve; the bombs remain deadly. There is also the possibility of an accidental nuclear exchange and smaller countries now have these weapons. 9. Genetics Research An accident waiting to happen. Either a new research gets approved for mass release and it's not safe OR there is a lab release of it allowing it to run rampant amongst the global population. Altered microbes might prove to be unexpectedly difficult to control. Scariest of all is the possibility of the deliberate misuse of biotechnology. A terrorist group or rogue nation might decide to try to put together, say, an airborne version of the Ebola virus. Although there is no evidence indicating genetically modified foods are unsafe, there are signs that the genes from modified plants can leak out and find their way into other species. 10. Evolution. Evolution hasn't stopped. And the next species is usually more advanced than the previous one. And it's a pretty good bet the first order of business for the new species will be to get rid of the old species. The Black Plague killed one European in four during the 14th century; influenza took at least 20 million lives between 1918 and 1919; the AIDS epidemic has produced a similar death toll and is still going strong. Old diseases such as cholera and measles have developed new resistance to antibiotics. Intensive agriculture and land development is bringing humans closer to animal pathogens. International travel means diseases can spread faster than ever. in it's primitive stages at present but sooner or later artificial intelligence (AI) will advance to such a level it will become like Hal in Space Oddysey 2000 and decide to turn on its creator?.. Has been predicted for ages but the Dollar Collapse could very easily happen and it would be quick as the Dollar is no longer backed by Gold but is a Fiat currency, it is backed by market confidence only. If the dollar did collapse most developed nations that are pegged against it, would collapse with it sparking hyper inflation and causing global financial chaos. Crop Failure and a mass famine not in places such as Ethiopia and Somalia but around the world. 6-7 Billion people on this planet and limited food supplies. You work it out? As a safety kill-switch, we are genetically programmed to die as individuals. And as a safety kill-switch, we are also genetically programmed to eventually lose the ability to reproduce as a species. In Christianity Book of Revelations the wrath of God and Judgement.Judaism has the Book of Daniel; Christianity has the Book of Revelation; Islam has the coming of the Mahdi; Zoroastrianism has the countdown to the arrival of the third son of Zoroaster. The stories and their interpretations vary widely, but the underlying concept is similar: God intervenes in the world, bringing history to an end and ushering in a new moral order. Moving onto actual Preppers, what are they like, what do they do, what do they have to say. Here's a three of Preppers I recommend and who I have a lot of respect for. If you are an unbeliever and not in the faith or if you're a Christian they are definitely worth a watch. It open the lid to another Pandora's box, there's thousands out there...............so be warned! 1. Chris Tanner of Prepared Mind 101. Watched loads of this guys videos in the past. He's big on knives but good for survival kit and how to use it in the wilderness. He's not sitting at home flapping his lips, he's out there rain or shine practicing what he preaches. Not a Christian as far as I can gather otherwise he wouldn't be going to the lengths he goes too here. But he does know his stuff and gets my respect. PM101 Survival Basics 6: The 3rd Pillar Of Preparedness - Preparedmind101 Get the Book he recommends it's free as PDF. The Most Important Skill Set That Nobody Considers. 2. The Patriot Nurse This Prepper covers the medical angle of preparedness and what you'll come up against in The End Times and how to cope with it. She's a nurse by occupation so is the real deal. Good for getting a woman's angle on the potential Doomsday scenario. Included a video below that has nothing to do with the medical side of being a Survivalist, but essential viewing none the less. Even she admits unless you have your head screwed on....most Prepppers will die! 3. Canadian Prepper. I've never seen this guy, but he sounds like he is in the know. These videos below tackles the psychological angle of Doomsday, the one that nobody anticipates or wants to think about.....this man goes there. The psychological effects of a downed power grid are discussed, the dark, silence, modern day society at a standstill, no smartphone..............the reality and what to expect. Here's my take on Prepping. 5 scenarios and how all the prepping in the world will not help in some situations. You've prepped for the dollar collapse, it has happened as predicted, the dollar is worthless, global currencies have gone the same way. You'v invested in gold and silver and a bunker out of the city where your gold and silver stash is located along with supplies. Society has started to break down, there's the starts of rioting and looting, it's time to go. You get in your car and start to head out of the city to your bunker and it's gridlock. You try a different route, the same. There are patrol points in place, martial law has been implemented....you can't leave via vehicle The bunker is 300 miles away you decide to go on foot maybe hitch a lift. After walking 15 minutes you receive a blow to the back of your head from nowhere. You're knocked out, you come round, everything you have has gone, just the clothes on your back......... What now? You've prepped for the threat of Armageddon or Nuclear War World War III. You live in the city and you have invested in a share in an inside mountain shelter which has 7 years worth of supplies for survival beyond an initial nuclear strike including radioactive suits and breathing apparatus. You've practiced the drive and evacuation route many times, your emergency kit is on permanent standby in your flat and checked daily. Driving home from work one day, it's night time, you're about 5 miles from home suddenly there's multiple loud cracks and bright lights high in the sky. Your vehicle comes to a stansdstill, you turn the key....nothing. You check your mobile....dead. You look around everybody else has come to a standstill looking confused. No street lights, no building lights, cash machines...dead.....nothing just silence. You decide to walk home and panic breaks out on the streets. You've just witnessed an EMP attack and modern day society has just been eradicated in a nano second........... What now? You've prepped for a pandemic. You've got supplies in your flat to last a year along with gas masks and medical suits. You've got guns and ammunition. The pandemic happens. You hole up in your top floor 3rd floor flat and barricade yourself in. You hear the gradual break down of society on the streets day by day, but you're OK....with a smug smile on your face you think "cracked it". Martial law is implemented, you hear repeated knocks on your door......you don't answer. You're sleeping one night.... you wake up to a cackling sound you look out the window, your building is on fire, you touch your front door.....it's red hot. Smoke is coming under the door........a years worth of supplies in your flat and chaos on the streets.....do you stay...... or do you go? You've prepped for an Asteriod strike, you've bought a property out in the middle of nowhere for your family and kitted it out with an underground facility with supplies for 2 years. You watch the news, what you knew was coming is happening now, it's arriving in 3-5 days via specialised news sources but the mainstream media hasn't pushed the story yet for obvious reasons. You and your family get everything in the 4 x 4 and leave for the property in the sticks in the middle of the night and don't tell anybody else a thing. You whole up in the basement, the asteroid hits, modern day society goes back to the dark ages. Your family takes it in turns to patrol the perimeter of your property. You hear a knocking on the door your neighbours are begging for food. You turn them away via intercom saying they should have prepared. More people from the village start knocking on the door, you don't answer. One night a crowd of people try to break in....you run off a couple of shots.....they scatter. The following night more people return and they cripple the generator and air supplies. With air running low and no power, you have to surface eventually and face the music.......what now? You've prepped for the Pacific North West Cascadia Fault, the big one the M9.2 earthquake and mega tsunami with a 100ft wall of water the experts predicted but everybody laughed at but you didn't. You've got a shack up in the mountains for you and the family above the flood zone. You've got everything planned and on standby. You've done the drill with the family. The BIG ONE, It happens but it's on the mainstream news, the Tsunami is on it's way, you've got 15 minutes till it hits Seattle. You do your drill you've done a hundred times before, your family are all in with supplies, you turn the key, Bingo she's started and you pull away but the car is leaning on one side....you've got a flat. Do you repair the flat which will take 5-10 minutes or do you drive on the flat at reduced speed eventually shredding the tyre, brek into another vehicle and hot wire it, or evacuate on foot wit a wall of water 100ft high travelling at a couple of hundred miles an hour behind you............ What now? Just five scenarios, there's hundreds out there, maybe more, but it soon dawns on you that Prepping has it's pitfalls. If God created the world in six days and rested on the seventh, knows everything, controls the elements and is all seeing, IF what is planned in the Book of Revelations turns out to be fact, if you're up against the Almighty, Prepping would be pretty much a waste of time, not totally but pretty much. Here's a bible quote probably not known by many Preppers but known by Christians as we are part of what is refered to as "the flock". The flock has a news source that eclipses any new source provided by mankind regarding the End Times. Christians tend to think that Prepping is a sin and that the "The Lord will provide". A true Christian isn't afraid of death or The End Times. Some even accept it because if the End Times are here, the infamous "Rapture" is also imminent. Prepping taken to the extreme is "of the world" and a True Christian does not live "as the world", as in like everybody else in thought, speech and actions. As you can see from the last three preppers, there is a lot of time, money and effort goes into prepping,there is also a lot of fear ou there hence the prepping. It can take over your life, sounds like a lot of hassle and as you come to realise you can't prepare for every scenario. You just can't! It still can't guarantee survival, it just increases your odds/ chances of surviving longer than most. 1. A bit over the top and still no guarantee you will survive as demonstrated in the previous 5 scenarios. 2. Everything will have a finite supply and eventually fuel, ammunition, batteries etc will run out. I personally think Money and Silver and Gold will be worthless also in these End Times. Clean water will be the new Gold. Food will be the new silver. Trust me! 3. It reveals that in a time of crisis you have no faith in God, maybe never had any faith in the first place and are on a level beneath an unbeliever! The Three Prepper videos above show you 3 similar but different takes on Preparedness but if what I think is coming is actually coming, that is mentioned in The Book of Revelations, there will be nowhere to run and nowhere to hide. There will quite simply be believers and unbelievers and whether you have prepped or not will not make much of a difference, it will just delay maybe for a few months, a year if you're lucky, what will be the inevitable. What will happen is specifically designed to be that way. Even if you are a Christian or think you are a Christian putting that Christian coat on when you go to church on Sunday, your faith or supposed faith WILL be tested to the limit. I think being prepared mentally, physically and spiritually will stand you in good stead when the proverbial SHTF and having basic supplies to last a certain period of time and a basic plan of action as mentioned earlier can only be a help by then society would either return to normal or would have adjusted to a new way of living maybe back to like how we used to live in the 1800's, where people grew their own food..............as in Organic! But in the interim period there would be chaos the likes this world has never seen. So is Prepping and Preparedness a sin and a waste of time. I personally don't think it is, if you do it in moderation, keep to the basics, as all these Bible quotes state below. Squirrels do it, ants do it, they are part of Gods kingdom, I think be prepared with the basics and "the Lord Will Provide" the rest. That's my attitude. The Lord is my shepherd; I shall not want. He maketh me to lie down in green pastures: he leadeth me beside the still waters. He restoreth my soul: he leadeth me in the paths of righteousness for his name's sake. Yea, though I walk through the valley of the shadow of death, I will fear no evil: for thou art with me; thy rod and thy staff, they comfort me. Thou preparest a table before me in the presence of mine enemies: thou anointest my head with oil; my cup runneth over. Surely goodness and mercy shall follow me all the days of my life: and I will dwell in the house of the Lord for ever. Go to the ant, thou sluggard; consider her ways, and be wise: Which having no guide, overseer, or ruler,Provideth her meat in the summer, and gathereth her food in the harvest.How long wilt thou sleep, O sluggard? when wilt thou arise out of thy sleep? Yet a little sleep, a little slumber, a little folding of the hands to sleep. So shall thy poverty come as one that travelleth, and thy want as an armed man.